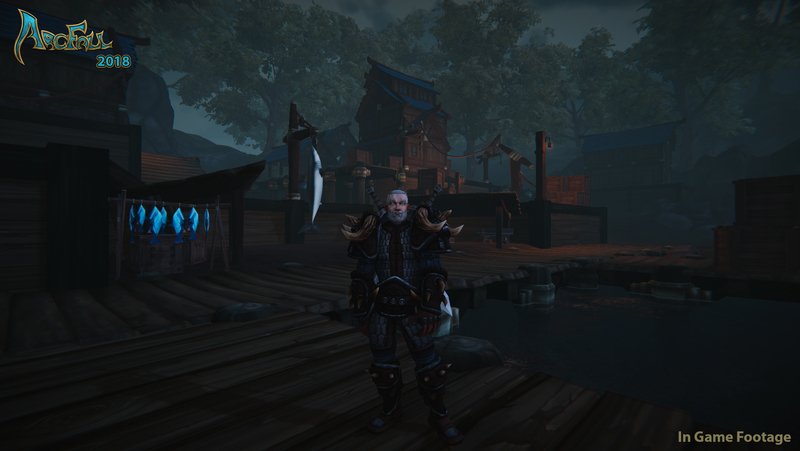 Arcfall starting to look more like Darkfall but better? As you may be aware, we have been very quiet for the past few months, and now it’s my pleasure to tell you what has been going on with Arcfall. As we have received great feedback from players from day one, we decided to take a step back and see how we could accomplish most of the things you all wanted. With that, we have had some major developments with regards to our tech, so we have moved Arcfall from a top-down play style to a full 3d game environment. With this move, a lot of bugs were fixed and it also opened up some amazing new gameplay systems. Unfortunately, with this, we will have to do a full character wipe, but the benefits will be well worth it. Another reason for the wipe is we are redoing the combat and skill progression system from scratch. With the new system, a player will gain experience points in crafting on every item he crafts. Certain higher-tier items will give more experience points than lower tier items. Skills will increase their level depending on how much experience points are needed to level them, this is based closely on the same progression system for a character XP leveling, but linked directly to the actions a player takes. With combat, we will be introducing AOE abilities and mobs will have defensive abilities to counter attacks from players. With the new 3d view, we can use better effects that will trigger in-combat, making the feedback to players more enjoyable, as they strike a blow or cast a spell. The new tech also introduces a proper navmesh system allowing the server to know exactly where every player and mob’s position is at any given time. This will streamline combat further as mobs will have AI, which will tell them to walk around objects to engage with players in a more realistic way. The whole world is being rebuilt from scratch with beautiful sceneries which allow us to bring the Lore of Arcfall to the players in a more enjoyable way. Another new thing that is added is arenas which will allow players to test their skills against other players. As we make this transition from top-down view to 3d view and the new technology, the servers will be down from Friday, August 17 until September 15 when we will be launching the new world. All players who have purchased Founders packages and coin in our in-game store will have those items renewed for you to spend on new items. We hope you are as excited about this new step in Arcfall as we are and look forward to playing alongside you on September 15, fighting dragons or taming one.